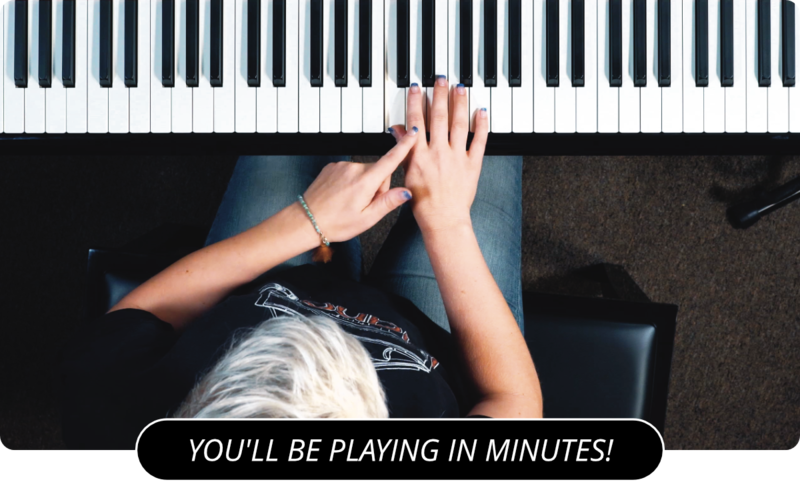 If you’re looking for a good way to pass the time, you could look into taking piano lessons . The piano is an excellent beginner’s musical instrument, because practically anyone can just sit down and start playing. A lot of people, though, don’t have the time to commit to lessons or tutoring on a regular basis and therefore have to learn at their own leisure and pace. It’s also possible that money’s an issue so that the person can’t pay for private lessons. In this case, the best option is to start looking for piano lessons on DVD . If you decide to look for DVD piano lessons , there are some different kinds of instructional programs to learn from. Also, the obvious drawback is that there isn’t a physical instructor there to correct your mistakes should it be needed. The advantage, however, is that you can watch and repeat each section on the DVD program as many times as you like, whether it’s five or a dozen times. It also helps to have a few different camera angles of shots so that you can see the playing. You need to be able to see the actual pianist playing the exercises, and to be able to see the keys being pressed so you have an idea of what to play. Once you see and hear this, you develop tonal memory skills by associating each note to a key. In addition you learn where the notes are on the keyboard this way. You should also look at the introduction of the piano DVD program . It’ll have this on the first disc of the set and the instructor will explain what the program is about and what you’ll be learning, as well as his own teaching method used on the DVD. Look for a DVD program that comes with a practice workbook – think of it as homework of sorts for when you want to practice on your own time. Another good practice aid that should come with your piano DVD program is a play-along CD with pre-written songs. This would work somewhat like karaoke. Basically, a guide for you to play along to. The reason I say you need a workbook and a play along CD with the DVD program is that nobody can really learn how to do something simply by watching – the full practice method is needed to really learn. Different DVD piano lessons can cover different styles in addition to all the basic aspects of music theory and technique. After learning basic techniques, most good piano DVD lessons will teach you the techniques of chord construction and the use of the foot pedals, which, incidentally, are used to sustain notes. Taking DVD piano lessons is a good way to help you learn how to play the piano on your own time, and the best part is that you don’t have to worry about the instructor getting impatient if you take particularly long to finish or understand an exercise. Just rewind or move to the previous chapter on the DVD and repeat the lessons as often as you like. Learn more about piano lessons DVD's by visiting the main page, PianoLessons.com , or by going through some of the other piano lesson articles that are posted on this web site.